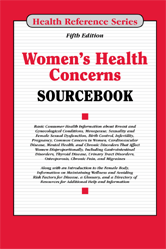 Women's Health Concerns Sourcebook, Fifth Edition, provides updated information about the medical issues of most significance to women. It explains female anatomy and reports on women's health and wellness topics, including vaccination and screening recommendations, fitness and nutrition guidelines, and tips for healthy aging. It also discusses breast health, sexual and reproductive issues, conditions that disproportionately affect women and the leading causes of death and disability in women. Section 14.2—What Are Mammograms (Breast Cancer Screening)?